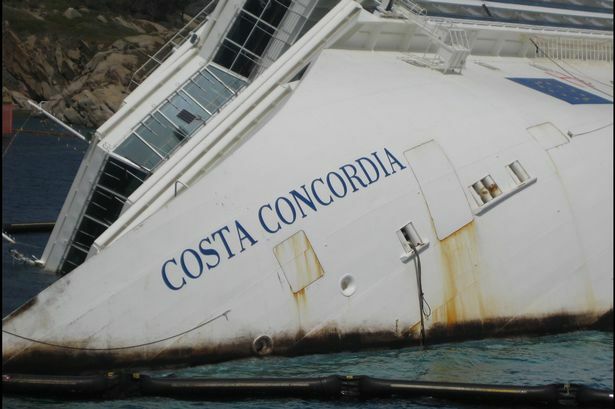 Salvage workers and local authorities in Giglio have confirmed that good weather forecast for Monday will allow the 10-12 hour operation of re-floating (parbuckling) the Costa Concordia to go ahead from just after 6am local time. With final preparations complete the task ahead now is to right the ship whilst causing as little damage to the local marine environment as possible. Salvage officials have warned that the vessel will bend and suffer severe internal damage as she is lifted off rocks. It is even likely that her beautiful marble spa will shatter completely under the pressure, but they remain confident at this time that her hull will remain intact. Sergio Girotto, project manager for Micoperi said “The ship will probably bend during the operation and metal inside will buckle”. Giandomenic Ardizzone, a marine biologist who has been monitoring the sea bed on behalf of Costa Crociere said “everyone expects the ship to rise up, but it will appear the opposite. Once it is settled, the water will rise up to deck 7, which is almost at the bridge”. He also mentioned that as the ship is righted, 29,000 tonnes of water will pour out of the vessel, but that another 43,000 tonnes will enter. This will mean less of the ship will be visible out of the water once the parbuckling project is complete. More to come as the operation gets under way.